Is Prince William Just a Big, Dumb Queue-Cutter? 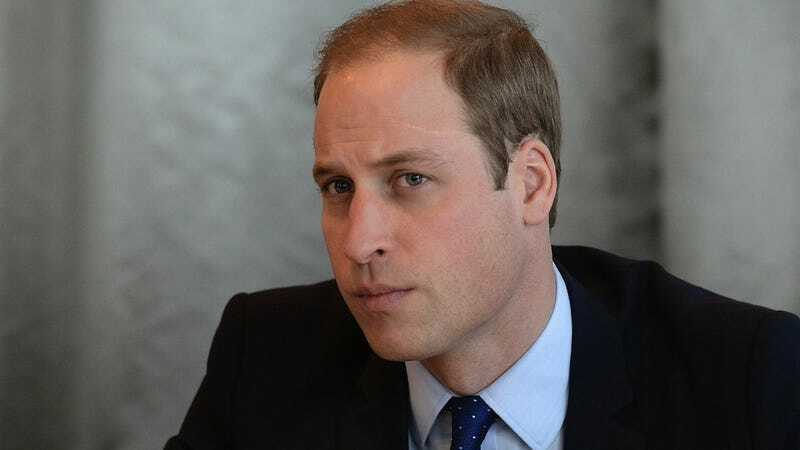 As part of his preparations to shoulder his royal responsibilities, Prince William will shortly be heading up to Cambridge for a 10-week course in agricultural management. Not everybody's keen on the idea, though, and I'm not talking about Kate pouting over being stuck alone with Prince George. Admitting Prince William is an insult to every student, whatever their background, who got into Cambridge by getting the required A-level or degree results. It's an insult to every student whose A-levels and degree are the same or better than his, and who didn't get a free pass to Cambridge in spite of them. And it's an insult to everyone in the country who needs skills or training, and hasn't had a university course personally designed for them. You know she's really mad because she manages to go the entire piece without a tongue-in-cheek "Royals" reference. Not even a pun! "What I've been telling everyone is a lie; nothing's really changed at all," she concludes. On the bright side, at least he's not eligible for financial aid and he'll be paying every cent out of pocket. (Or royal Swiss bank accounts, whatever.) If you're going to let the rich cut the line, might as well get every dime you can for the university coffers. That probably does little to comfort students who sweated out every grade to get in, though. But not everyone affiliated with the university is taking the news so hard. In fact, one current student confessed to the campus paper that she has every intention of seizing this opportunity: "Oh my God, this is the most exciting news ever. I don't care about Kate and her whiny, little baby. I will seduce that man and become the most hated adultress since Camilla!"